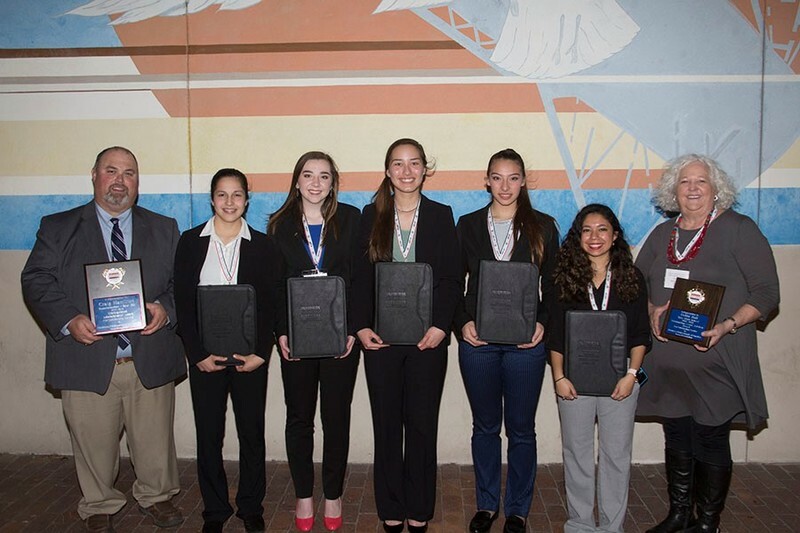 Tessah Adams, Fundamental Word Processing; Danni Uriegas, Prepared Speech; Beth Ferguson, Integrated Office Procedures and Administrative Support Project Team; Savannah King, Website Design Team; Bryn Arnold, Intermediate Word Processing and Administrative Support Project Team; Olivia Leary, Fundamentals of Web Design and Website Design Team; Ruth Jimenez, Payroll Accounting; Avery Tanner, Fundamentals of Spreadsheet Application and Administrative Support Project Team; Camrey Sanchez, Advanced Interview Skills; Destynee Vasquez, Advanced Word Processing and Administrative Support Project Team; and Madison Givens, Interview Skills. 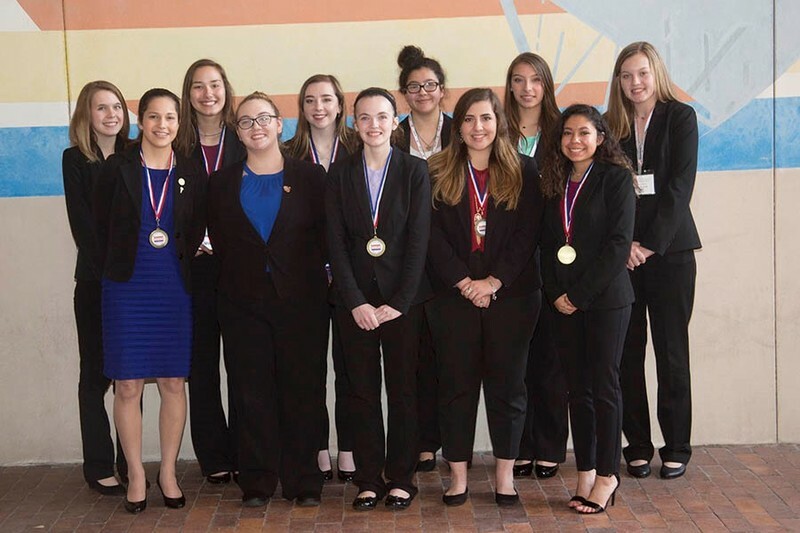 National Qualifiers (NQ) and National Alternate (NA). 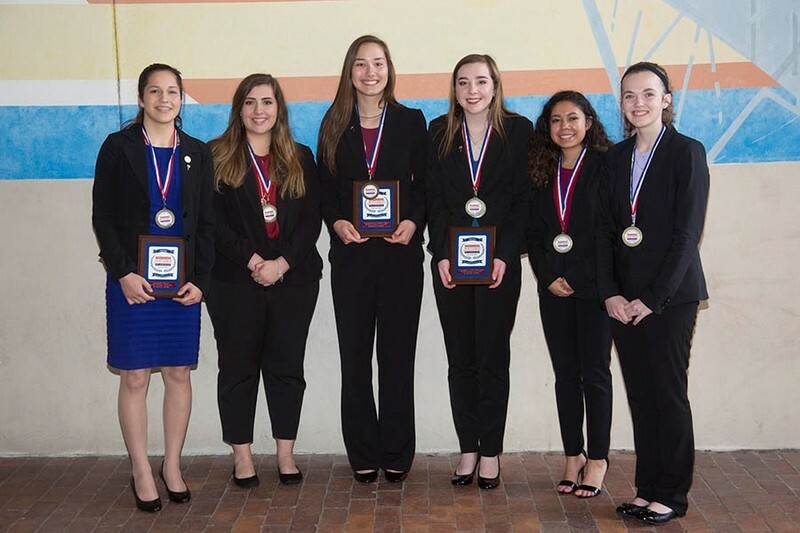 Danni Uriegas, 1st place NQ, Prepared Speech; Avery Tanner, Beth Ferguson, Bryn Arnold, and Destynee Vasquez, 2nd place NQ, Administrative Support Project Team; Bryn Arnold, 1st place NQ, Intermediate Word Processing; Olivia Leary, Fundamentals of Web Design, 6th place NA.